These are the ruins at Bolsa (on the right) with the easy to recognise hill of Mala Bholsa in the background (on the left). We visited during a walk from Bunnahabhain up the Sound of Islay, past the caves, up to Bolsa and back to Bunnahabhain where a wee dram was waiting for us. 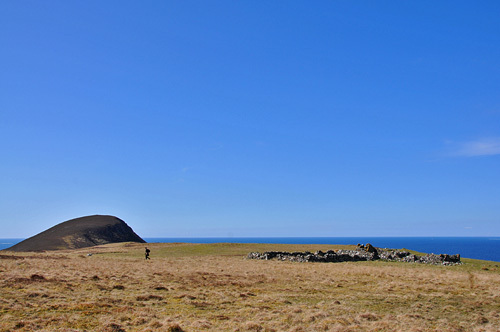 A great walk in stunning weather in April 2012. That's all for tonight. Good night!